Cardio. That is such a loaded word, full of expectations, anxiety, and pressure. At least it is for me. I always set myself such lofty goals in this department and beat myself up for it when I fall short. But cardio isn’t actually as intimidating as so many of us think and thanks to our kids, we’re already a step in the right direction for what it takes to get this aspect of fitness in check: we’re up and moving about! 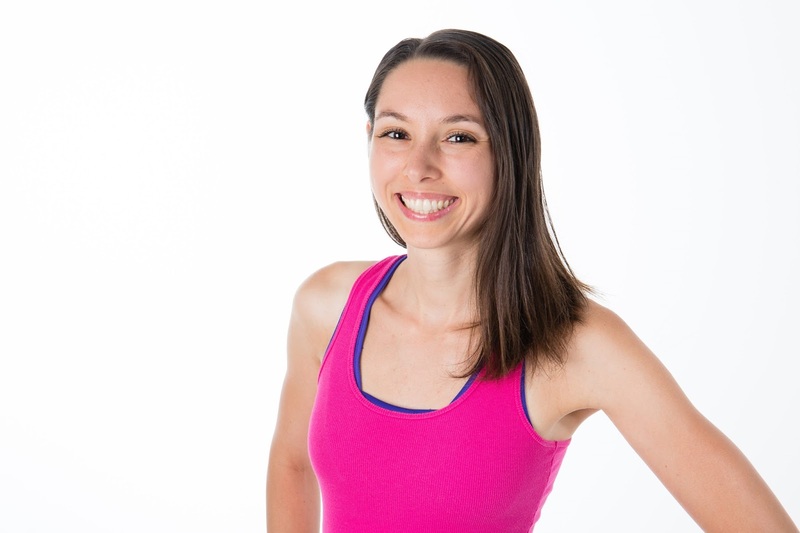 Part 2 of this fitness series with Tone Every Zone is dedicated to this topic and I love how Irina has suggestions that you can easily fit into your daily routine- even with the kids around- that take 15 minutes or less to help you work towards your fitness goals. You don’t need a gym or even a workout space for her suggestions (think hills, stairs, a step stool, and even your own body) and let’s face it: 15 minutes isn’t such a challenge to squeeze in, is it? See below for her great tips and click here to view Part 1 in this fitness series. Hey everyone it’s Irina again! Cardiovascular health is a very important aspect of general wellness. We spend too much time being sedentary and we don’t move around as much as we should. This can lead to heart disease and all sorts of other problems! Now, if you’re a mom – you’re already ahead of the game: chances are your kids force you to be more active than the general population because we all know kids don’t sit still unless they’re sleeping. Cardio is a bit misunderstood: it doesn’t necessarily mean going for a run or doing a crazy HIIT class. But it is great fat burning exercise and should not be overlooked. Here are some simple ideas you can start incorporating once or twice a week into your schedule. If you have any hills around your house, you’re in luck! Start modifying your usual route when you take your baby/ kids for a walk and opt for the hill instead! An incline is a great way to get your heart rate up while at the same time eliminating the high impact that comes with running or jumping around (which can be really uncomfortable if you’re a breastfeeding mom for example). When the hill starts getting easier, increase your walking speed. As it turns out, equipment is only optional when it comes to fitness training. Your body and gravity can do an awesome job getting your heart rate up. Here’s an awesome 5min sequence that requires no equipment. These exercises are simple but very effective! As always, the thing to keep in mind is that it’s ok to start small. 12-15min can be a quick burst of energy and a great workout if the time is used to its full potential. What are your thoughts about cardio? How do you incorporate it into your busy schedule? What are you finding works really well? What are you struggling with? I’d love to hear from you! …And now about that giveaway I mentioned! As part of this fitness series, Irina and LNBF (who kindly contributed fitness apparel for this post series) are offering up some great incentive to help you with your fitness goals! Some lucky ladies will win one (or both!) of the following prizes as part of this fitness post series. Enter in the forms below. Good luck! *Please make sure to read the terms and conditions to ensure you are eligible to win a session with Irina. Click here to view the terms & conditions of this part of the giveaway. ***Fill in the Lifestyle Questionnaire for 5 bonus entries and to help Irina get to know you before the initial training session. LNBF’s best- selling leggings made from amazingly soft bamboo fabric that’s lightweight and comfortable. The breathable fabric is thermo- regulating and wicks away moisture- perfect for staying comfortable during a workout. This portion of the giveaway is open Canada- wide.